Can lights are recessed lights. They get their nickname from their housings, which are cylindrical, metal, and pretty much can-like. Can lights are often used where there isn't room for a hanging fixture or where highlighting or spotlighting room features is desired. People like them in their kitchens, living rooms, and closets, along with lots of other places. But there are a few more things you should know about can lights before using them. One of the best things about can lights is that they're nearly flush with the ceiling and don't take up visual space. This is particularly helpful in rooms that need a lot of lights, where numerous conventional fixtures would clutter the ceiling. Flush installation also means there's nothing hanging down. And more importantly, nothing glass hanging down. This makes can lights desirable for tight spaces, like closets, or where a door swings close to the ceiling. Can lights are the Transformers of the lighting world. Most recessed fixtures come in two parts, the housing and the trim. The housing is the generic metal canister that's hidden in the ceiling. Once it's installed, you can add any trim piece you like. There's a wide range of trim styles available, including baffle, lensed, reflector, wall-wash, and adjustable. Both housings and trim come in a variety of sizes. Can lights are essentially for downlighting. They shine straight down or off to one side. This is great in some situations but not so great in others. By contrast, many standard fixtures light upward and outward, brightening the ceiling and creating an ambient glow. There's a surprising amount of light that reflects off of a painted ceiling. Keep this in mind when considering recessed lights versus other types. One of the worst places to use can lights is over a bathroom mirror; the closer you get to the mirror the more it lights the top of your head instead of your face. If you've decided to go with can lights, choose the right type for your situation. Standard recessed lights are designed to be installed during construction, when the ceiling framing is exposed. 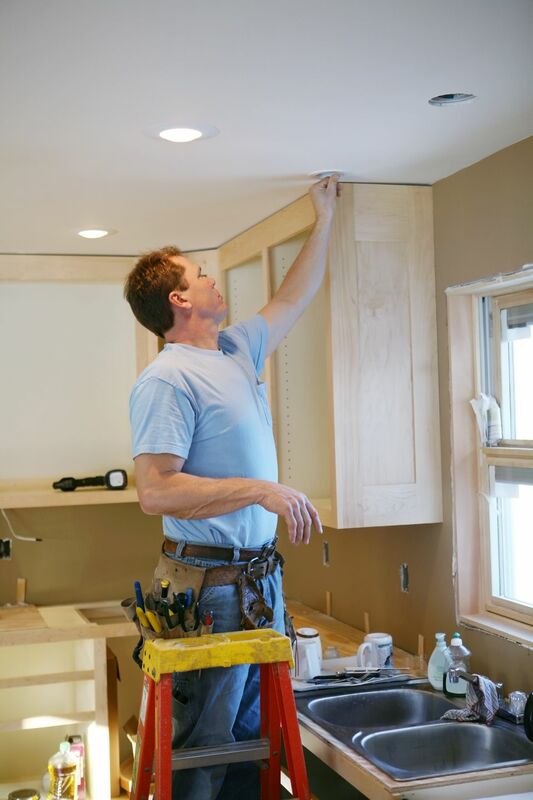 If you're installing lights into an existing ceiling, be sure to get "remodel" fixtures. These have low-profile housings and other features that make them easier to install into finished ceilings. Old-fashioned can lights are notorious energy-wasters. Their unsealed canisters work like little chimneys that usher heated air out of your living space and into the attic. They also can't be covered with insulation, creating a thermal opening in an otherwise well-insulated ceiling. These problems not only waste money, they can help heat up your roof and contribute to ice dams in winter. Fortunately, manufacturers have solved both problems with IC- and AT-rated can lights. IC means you can cover the housing with insulation (without risk of burning down your house), and AT means the housing is airtight. If your new lights will go into an insulated ceiling, don't use anything else.